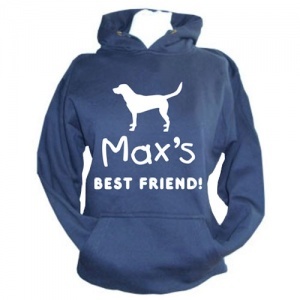 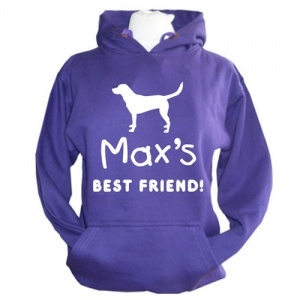 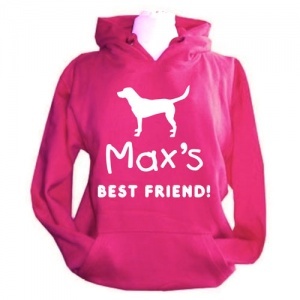 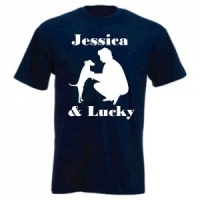 We all know that dogs are man's best friend and this personalised hoodie celebrates that. 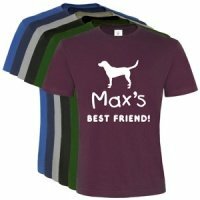 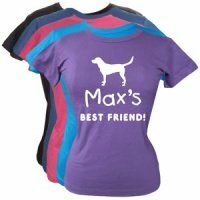 Personalised just for you and your best buddy. 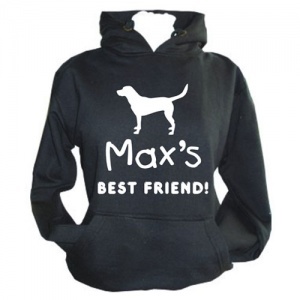 These hoodies are great for autumn and winter dog walks, doggie days out, events and anything you enjoy doing with your four legged friend. 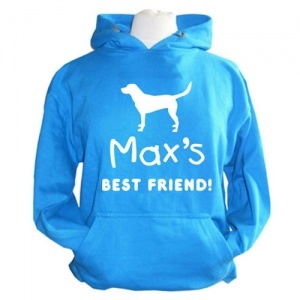 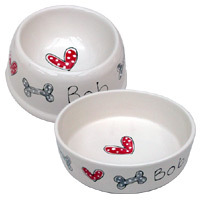 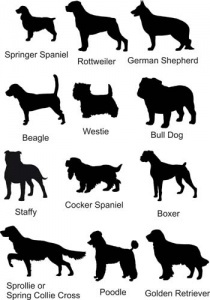 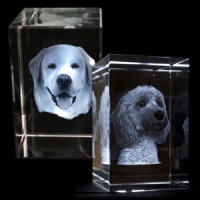 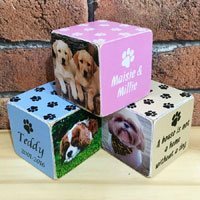 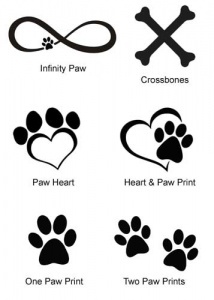 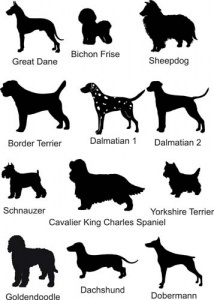 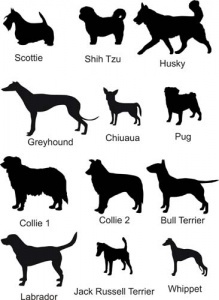 They also make a special gift for a dog loving friend. 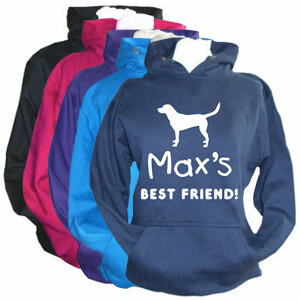 These quality hooded sweaters are unisex, so are suitable for men or women. 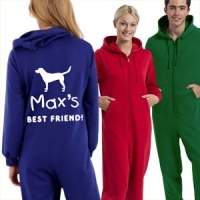 So warm and comfortable and great fun too.